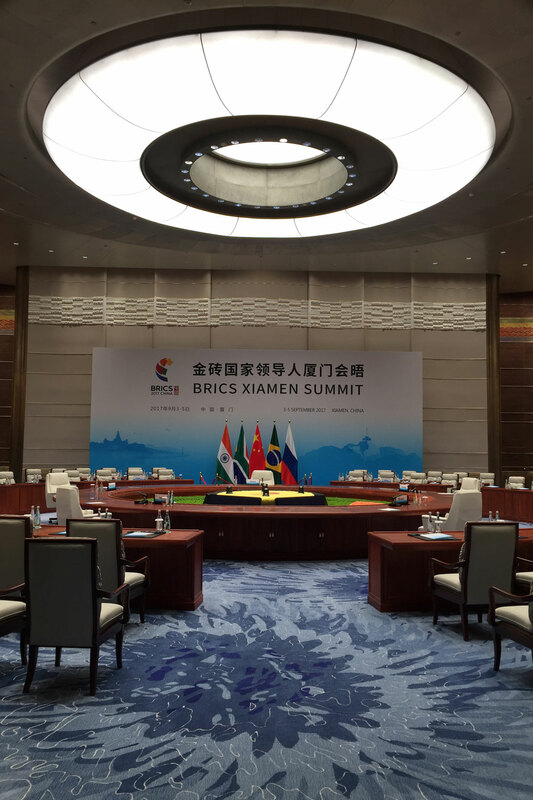 The ninth BRICS summit was held in September in Xiamen, China from 3 to 5 September 2017. How its five members, especially an anticipated “China’s Plan”, will chart the bloc’s future course is of great importance. 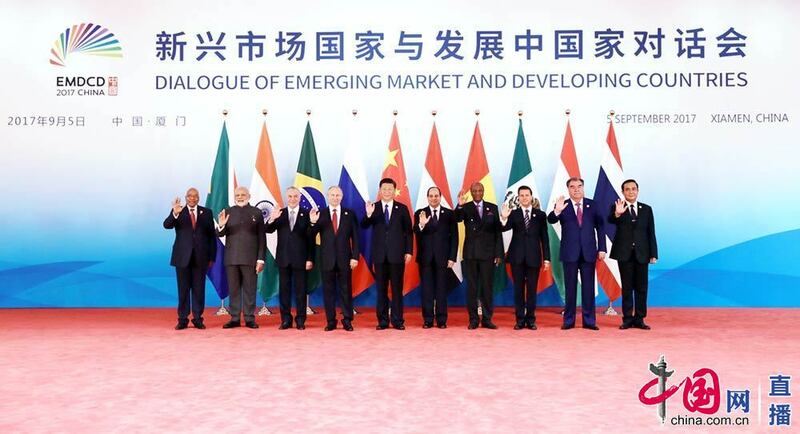 Over the past decade, the BRICS cooperation platform has grown into an international mechanism of major influence, and its demands help to bring gradual changes to the global economy. 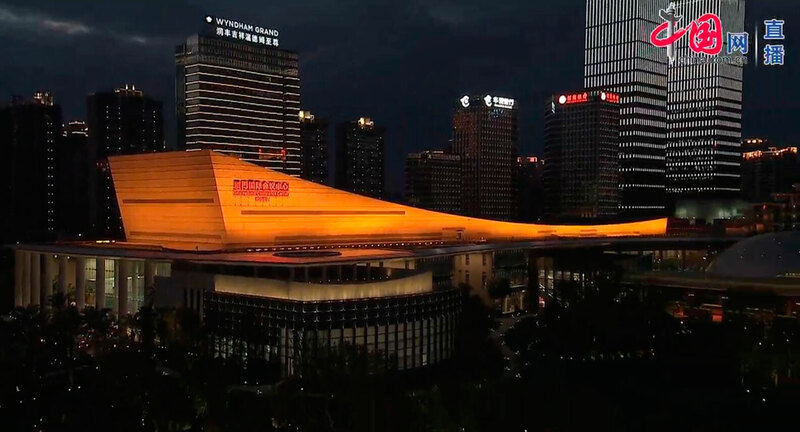 A successful summit not only attracts a high level confidence in China from the international community, but it also conveys China’s sincere aspiration towards making a contribution to it. To ensure a perfectly and successfully run summit, the widest range of tasks were carried out according to the highest standards and requirements. The PA systems for the multiple venues of the summit were supplied by Shanghai MYC, a distributor of speakers from German Kling & Freitag and Cadac consoles from the UK. Since 1991, Kling & Freitag has stood for innovative sound systems “Made in Germany”. 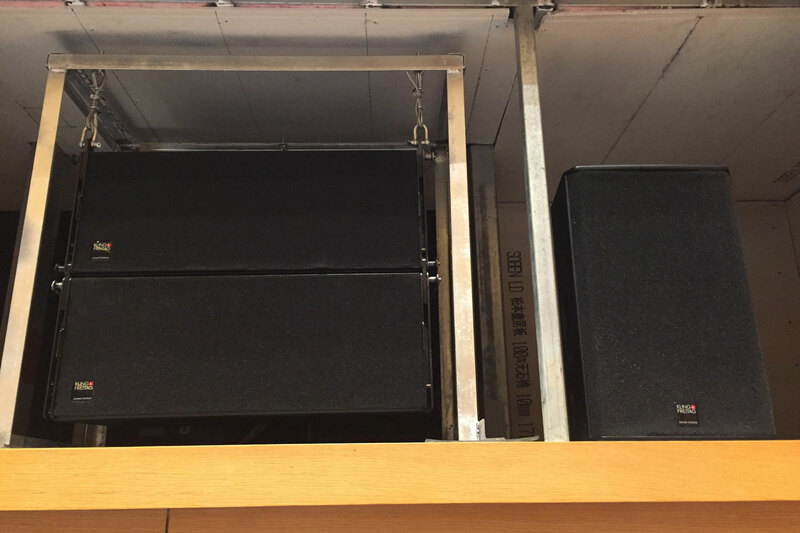 From the headquarters in Hanover, Germany, outstanding, high-quality loudspeaker systems have been developed and produced for over 25 years, setting new standards and creating enthusiasm worldwide time and again. 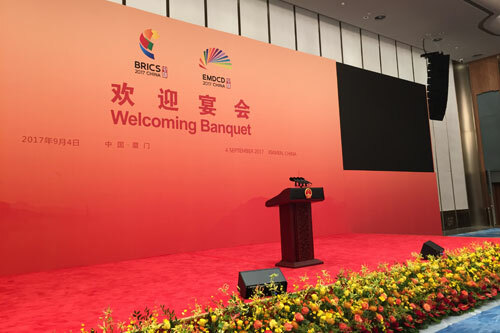 The main location for the BRICS summit is Xiamen International Convention Centre, comprising the State Banquet Hall, the Strait Hall (news press) and several small to medium-sized meetings rooms. 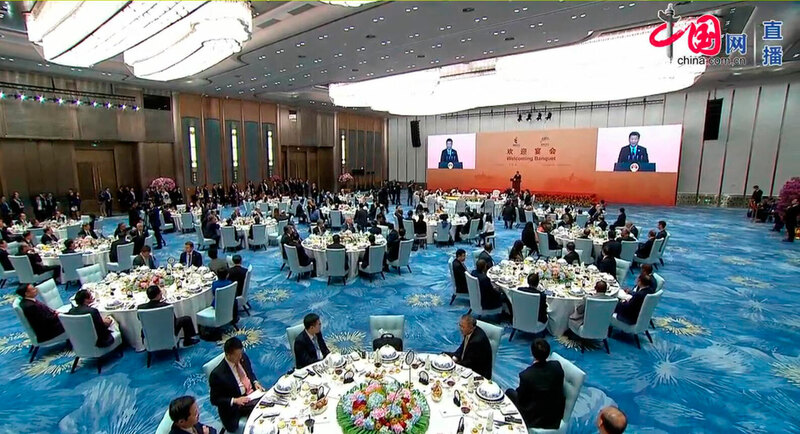 The State Banquet Hall was used for the welcome evening banquet and the press conference, which was presented by Xi Jinping on the last day of the summit. The State Banquet Hall was acoustically driven by an SEQUENZA 10 system with 9 tops on each side of the podium, comprising 8 SEQUENZA 10 N units and 1 SEQUENZA 10 W unit, for even coverage and high intelligibility in the massive venue. 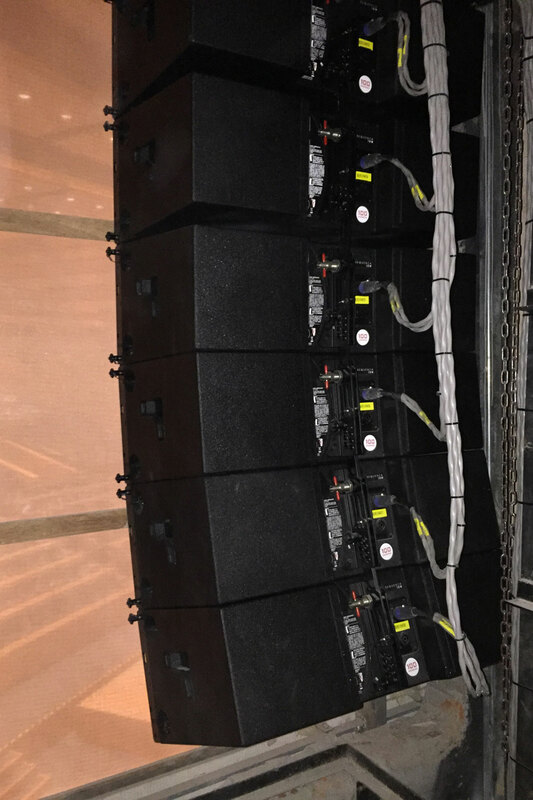 In addition, 24 GRAVIS 12+ W units were evenly attached to the ceiling to provide well-distributed sound pressure and a better transmission gain. 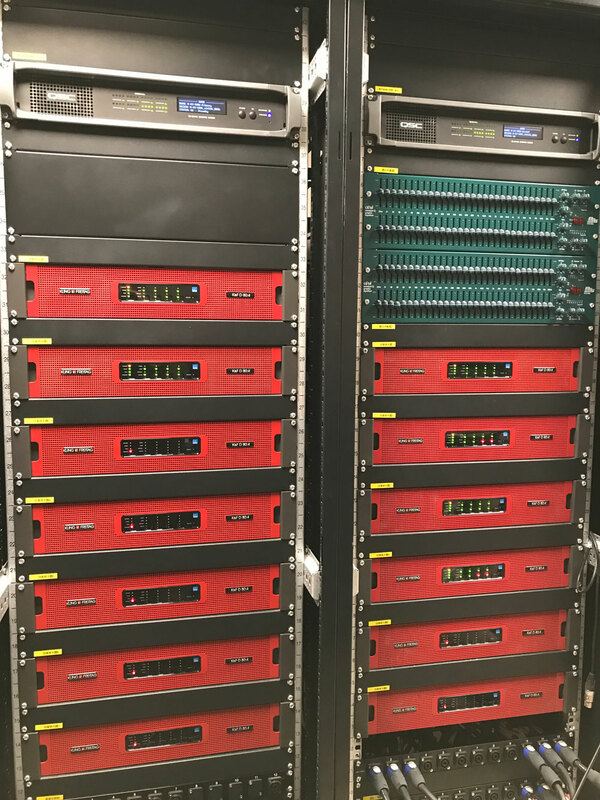 All speaker cabinets were driven by the latest digital network amplifiers D80:4, which is a state-of-the-art amplifier, especially for installation applications introduced by K&F. Via RPM, the total output of amplifiers can be rationally distributed to different amp channels, in order to achieve the most optimised operation and cost performance. Fortunately, a routine bridge connection between amp channels is no longer required, and the PFC function has ensured universal power adaptation all over the world. The Strait Hall (press room) is a theatre-style multi-function hall, which was mainly used for meetings between BRICS leaders and the industry & commerce council. The hall also had a complete K&F sound system. 37 SEQUENZA 10 units were unobtrusively installed respectively for the left, centre and right channels, together with the NOMOS XLT for low frequency, GRAVIS 15 for the stage monitor, CA 1215 for the frontfill and SONA for the apron stage and surround effect sound. All units were driven by D80:4. 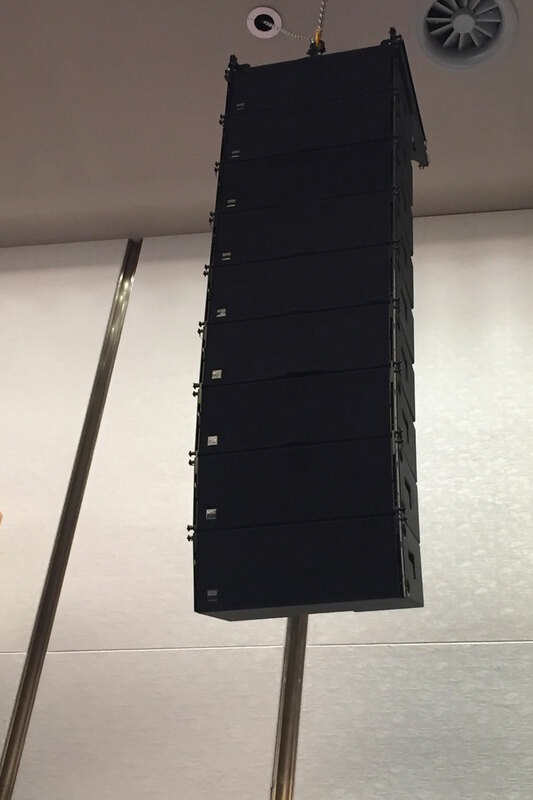 All the other small to medium-sized meeting rooms were equipped with units from the classic CA series, such as the CA 1001/1215, coupled with a D80:4 in a standard PA system.